If there is something the Perth food scene has been missing, it's good quality American-style barbecue. 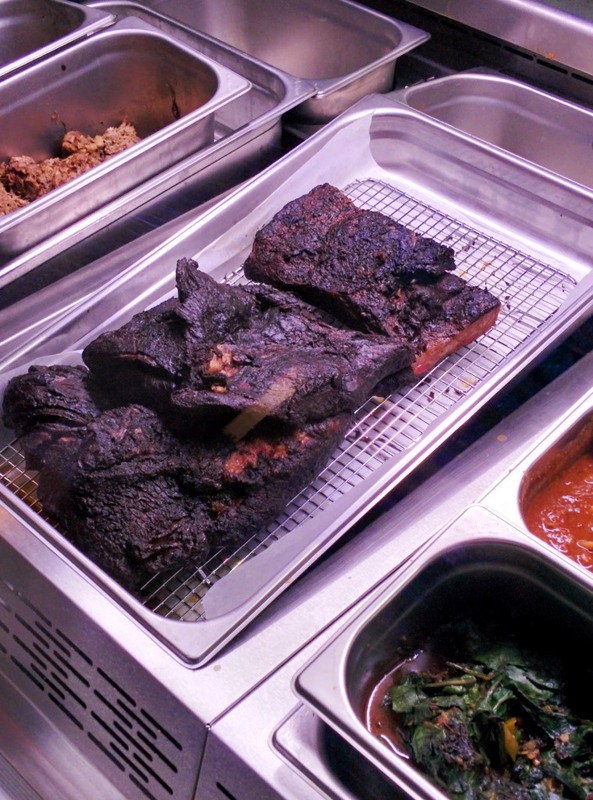 Having been fortunate enough to eat some delicious barbecue at Fette Sau on my last trip to America, I've been craving some delicious smoked meats - brisket, ribs, pulled pork... I'm salivating at the very thought! Enter: Old Faithful Bar and BBQ, brought to us by the team behind Ezra Pound in Northbridge. Situated on the uber-trendy northern end of King St, the aroma of smoked meats will lead you there by the nostrils. Having stalked their Instagram and Facebook pages for a few weeks, we could not wait for them to open. We weren't expecting it to be Pavarotti priced so needless to say we were ecstatic to find out that there were some items that satisfied our guiding principal of being "less than a tenor". 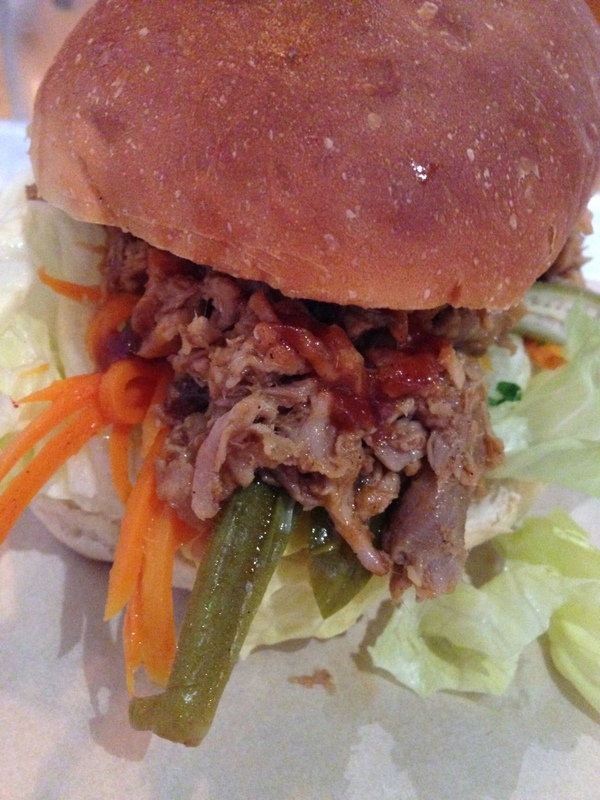 Old Faithful serve up a range of BBQ sandwiches, perfectly suited for your lunchtime hunger. Three of the options are Pavarotti-priced: the Chopped Pig ($10), the Crispy Pig's Face ($10) and the Mushroom ($9.50) sandwiches. Unfortunately, the Pulled Lamb and Sliced Brisket (my personal favourite) were just outside our price range at $11. While we have yet to sample the mushroom option, as it seems criminal to forgo eating meat at Old Faithful, we've sampled both the Chopped Pig and Crispy Pig's Face options. Both are incredible. For those of new to the barbecue game, chopped pork (like it's cousin pulled pork) is made from a cut of pork that would normally be quite tough (in this case the shoulder) being cooked low and slow until it is very tender and can easily be 'pulled' or 'chopped' into small pieces. In my experience, chopped pork tends to be a bit finer than its chunkier counterpart in pulled pork, which tends to be removed in strips. 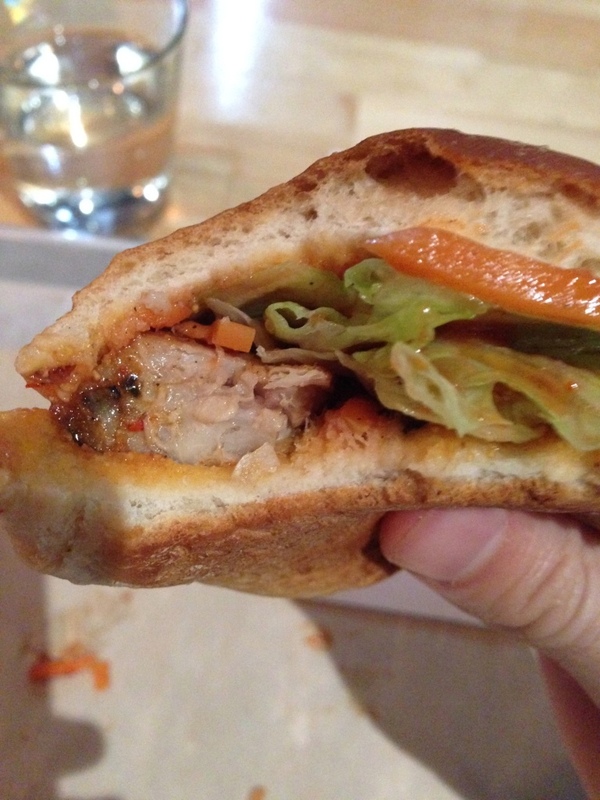 At Old Faithful, the chopped pork sandwich is simple but delicious. A soft and sweet bun, filled with a generous amount of chopped pork, iceberg lettuce and pickles (carrot and cucumber), all topped with a slathering of Old Faithful BBQ sauce. It's a perfect combination. The bread is chewy, the pork is beautifully spiced and the lettuce and pickles balance the rich flavours with some crunch and acidity. To top it off, the BBQ sauce is made in house and is one of the tastiest things to have ever touched these lips. I have honestly contemplated squeezing it directly into my mouth out of the bottles provided on each table, or making off with a bottle completely. I can't get enough. The thought of eating 'pig face' may seem off-putting to some, but I implore you to give it a go. Predominantly pig cheek, the 'crispy pig face' is actually quite meaty, with a slightly gelatinous texture in parts and a layer of crackling on the outside. 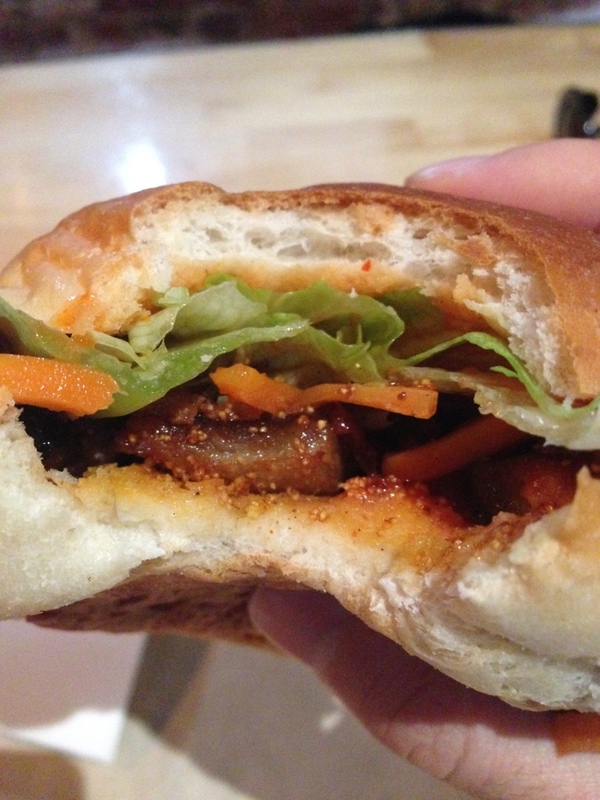 It's quite similar to eating pork belly. 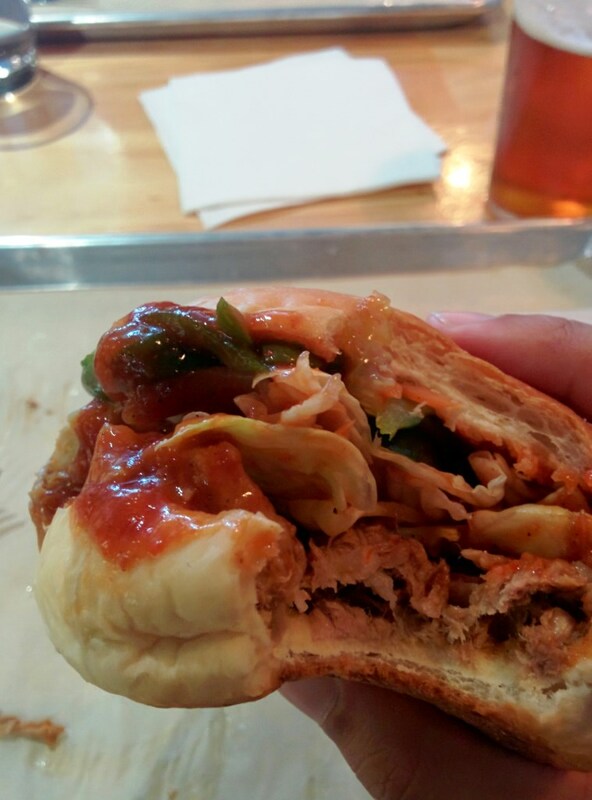 This sandwich is served in the same chewy bun, but with crispy coleslaw and Old Faithful's hot sauce. The house-made hot sauce is bottled gold. Hot enough to keep you interested without blowing your head off, its vinegary bite is very complimentary to the rich pork. Picking a favourite out of these two sandwiches is like trying to choose your favourite child (or so I'm told). I just love them both so much! I guess if I was absolutely forced to pick a winner, it would have to be the chopped pork due to the fact that I prefer the lettuce and pickles to the coleslaw. And don't let your preference for BBQ or hot sauce sway your choice, as there are bottles of it on every table so you can help yourself. The buns are not massive (about the same size as Butty's Rib Burger, for those of you playing along at home) but the richness of the fillings leaves you quite full. For those of the larger appetites, you could splurge on a side of burnt end beans, potato salad, smothered greens (silverbeet in gravy with offcuts of meat) or a variety of other goodies for a few extra dollars. 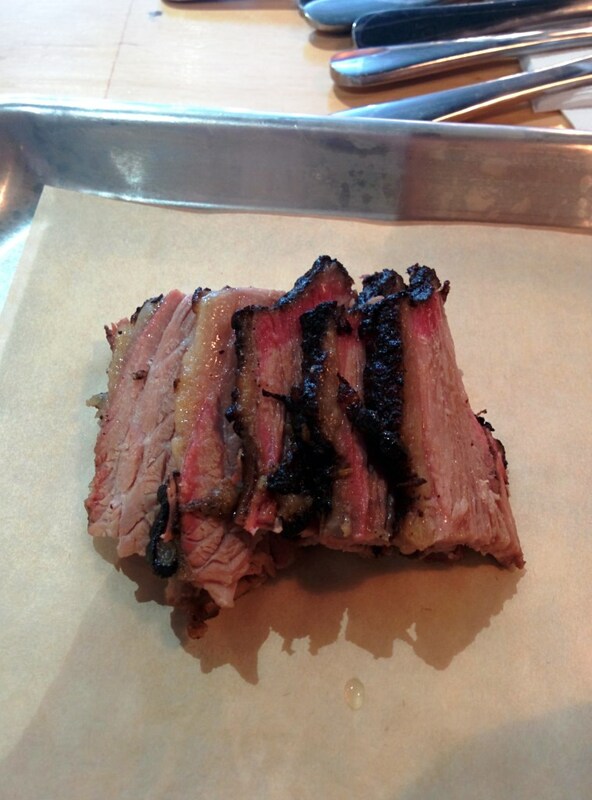 Or just go full carnivore and order some sliced brisket for $6.80 / 100g. Either way, Old Faithful is not to be missed. The icing on top? The meat is all slow cooked in advance so you can be in and out in half an hour!